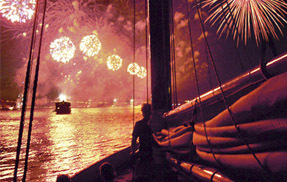 Join us aboard our classic style yachts to celebrate our national independence! 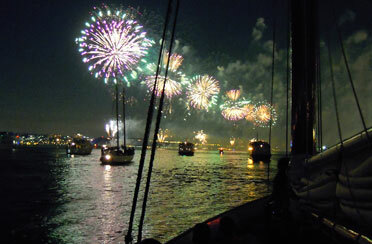 Step aboard for a NYC 4th of July Fireworks Cruise in NY Harbor. 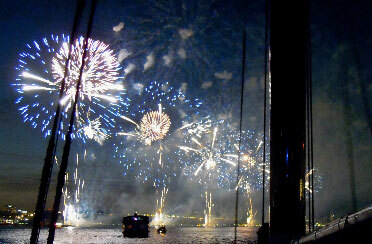 This is the best NYC cruise to have upfront seats for the beautiful display of 4th of July fireworks. Bring your family and friends on one of our elegant boats into New York Harbor for our NYC 4th of July Fireworks Cruise and get an up close view of both the Statue of Liberty and the beautiful display of the Macy’s Fireworks! 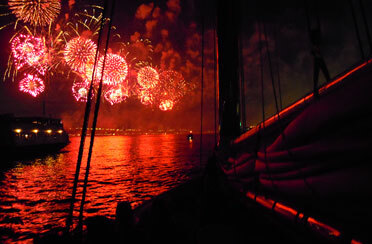 All of our boats will be venturing out into New York Harbor for the harbor tradition. 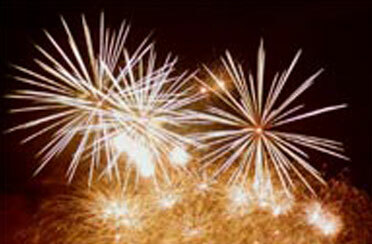 Each cruise or sail will have some light fare and an open bar for you to enjoy while underway. Expect to see the harbor filled with many other boats and sailing vessels, vying for an up close view! These cruises always sell out, so you are encouraged to book in advance! What better way to celebrate 4th of July than on a boat in NY Harbor with friends and family!